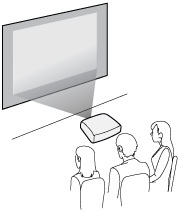 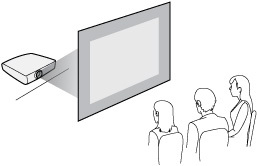 Select Projection and press Enter. 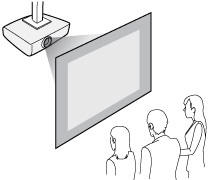 Note: To project from overhead, you'll need to use the optional ceiling mount hardware. 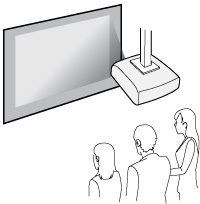 You can purchase the ceiling mount (part number ELPMBPJG) from the Epson Store or an Epson authorized reseller.